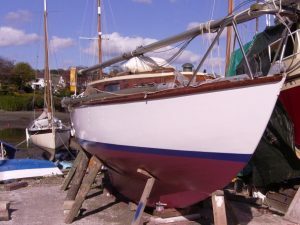 The Otter 40 is a development of the smaller Otter 36, the extra length giving increased speed and better accommodation. This length also helps carry off to a better degree the state-room poop which adds to the living comfort of the design. 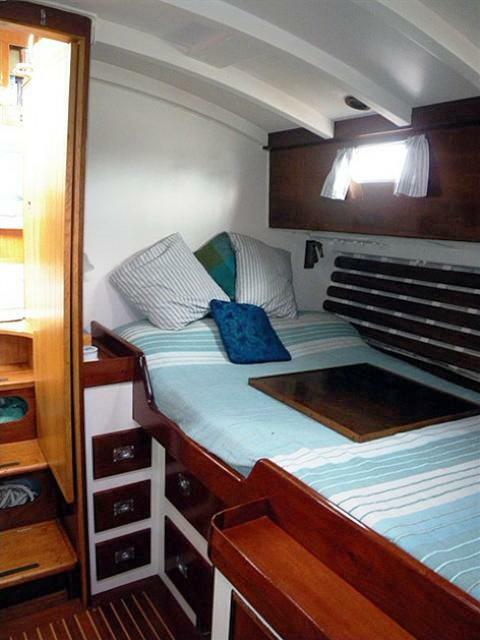 The forward section of the Otter 40 is given over to two spacious double cabins with a heads compartment between. 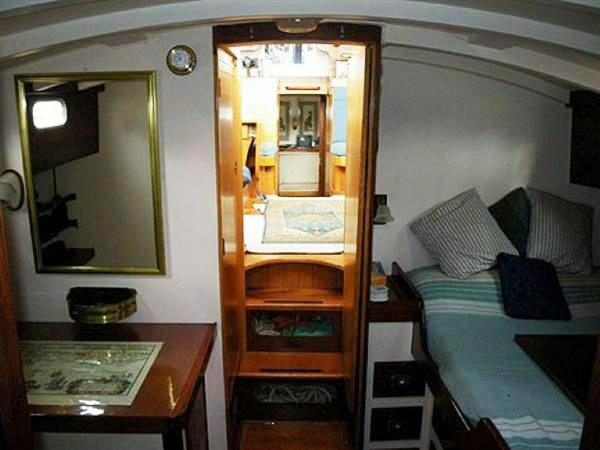 Aft of the wheelhouse is a large galley with a second heads compartment with a shower fitted. 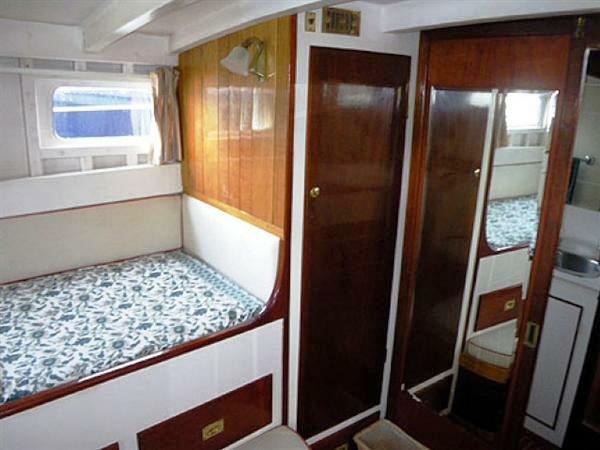 Further aft is the ‘great cabin’ ideal as an owners cabin or saloon. 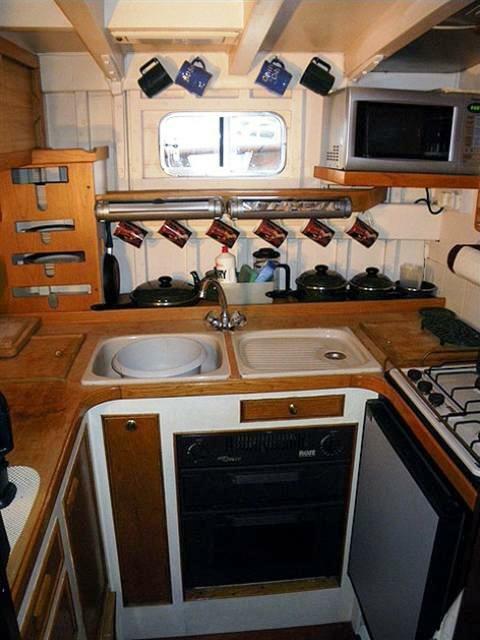 The raised poop provides a large deck area for sunbathing, socialising or dinghy stowage. Otters were built by various yards, between 1966 & 1971 unfortunately in no great numbers, in all probability Unicorn of Burnham is the last Otter 40 to be built. 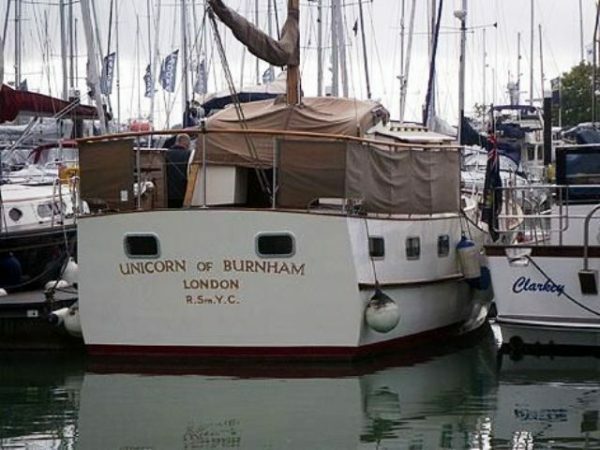 Unicorn of Burnham was built for E R Platford of Great Warley, Essex in 1971 by the well know firm of Burnham on Crouch boat builders, Reg Prior & Sons. In the mid 1970’s Cdr. 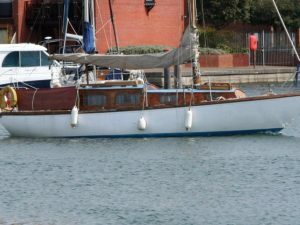 D C Douglas RN (ret) and Mrs P C Douglas from Gaskyns, Slingfold, West Sussex became second owners of the vessel with L A Giles from Crawley becoming part owner in 1980. The Commander, a member of the Royal Solent Yacht Club and Royal Ocean Racing Club stationed Unicorn of Burnham on the Hamble River. 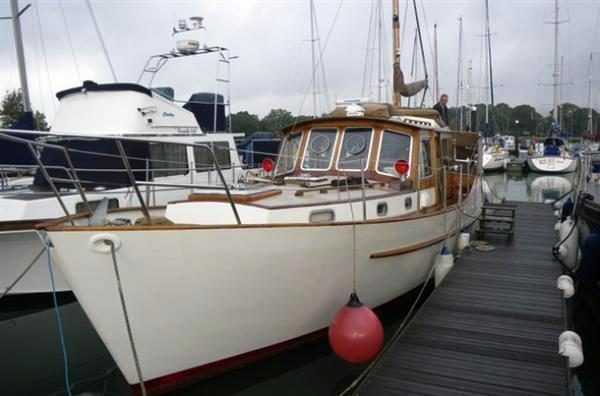 The current titled owner purchased the vessel from the third custodian about eighteen years ago and has since continued a high standard of maintainance whilst undertaking many long distance cruises from The Hamble. 1.1/8th inch Iroko planked, round bilge hull with steamed and sawn oak timbers, copper fastened. Cascover sheathed below the water-line. 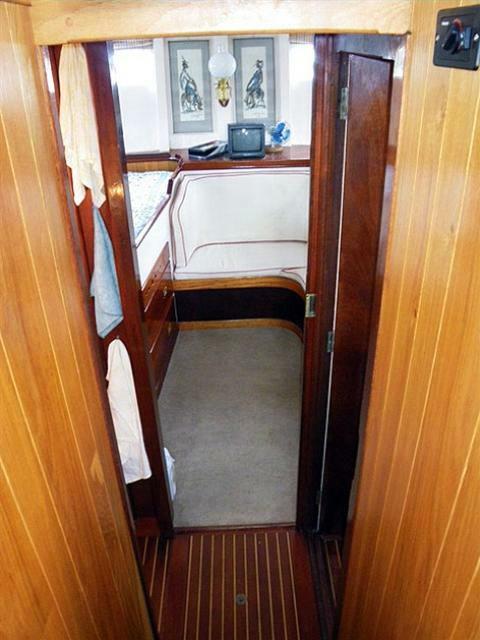 Steel strap floors, Long straight oak keel, oak stem and stern timbers, Iroko planked transom. Single semi-balanced steel plate rudder with stainless steel stock. 5/8th inch marine ply deck with 5/8th inch teak laid planking with oak deck beams, carlins and beam shelves. Steel lodging and hanging knees. 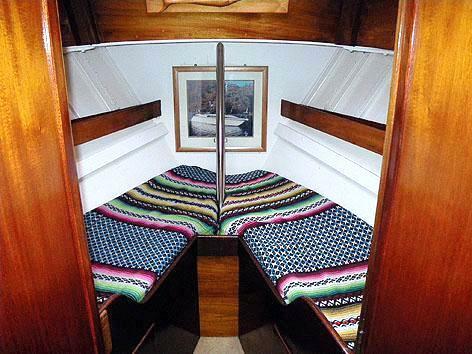 Varnished mahogany superstructure, rails and trim. 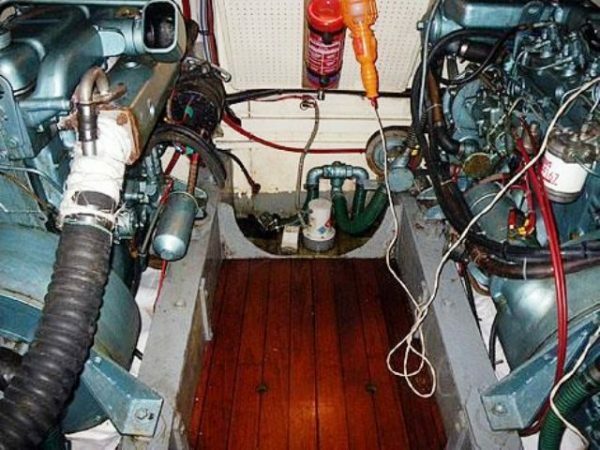 Twin 72hp Perkins 4236 Diesel Engines (1970) with Borg Warner Gearboxes. Two three bladed propellers (22 x 11) with 1 inch stainless steel shafts. Bronze P brackets. 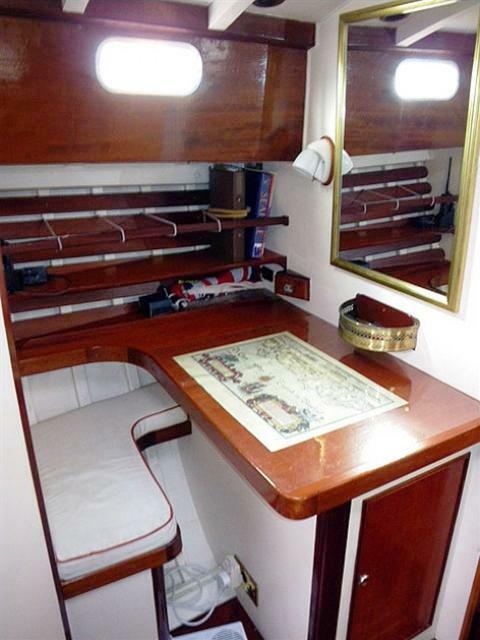 Cruising speed about 8 knots, maximum 9 knots. Engine hours, port engine 1075, starboard 1082. Master Volt Whisper 4000 Generator 4kva (new 1999) 371 hours. Two engine friven 70amp alternators. Two 100 gallon diesel tanks, four 50 gallon fresh water tanks. Henderson Mk V diaphram bilge pump, Jabsco electric pump and engine driven deck wash / salvage pump. 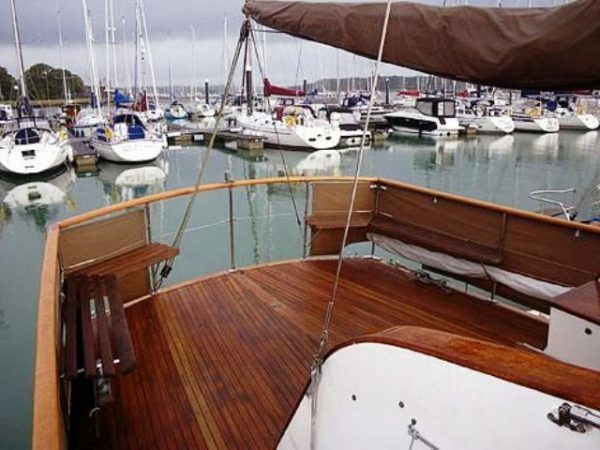 Deck stepped spruce mizzen mast with stainless steel rigging, spruce boom and steadying sail. 30lb Danforth Kedge Anchor with 25 metres leaded warp. Simpson-Lawrence Seawolf 520 electric windlass. 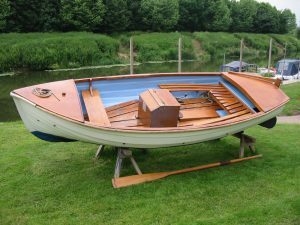 Avon Redcrest Dinghy with Mariner 2hp OB Motor. Autohelm Tridata ST 50 Depth Sounder. Autohelm Tridata ST 50 Boat Speed & Log. Kelvin Hughes Six Man Liferaft in GRP canister. 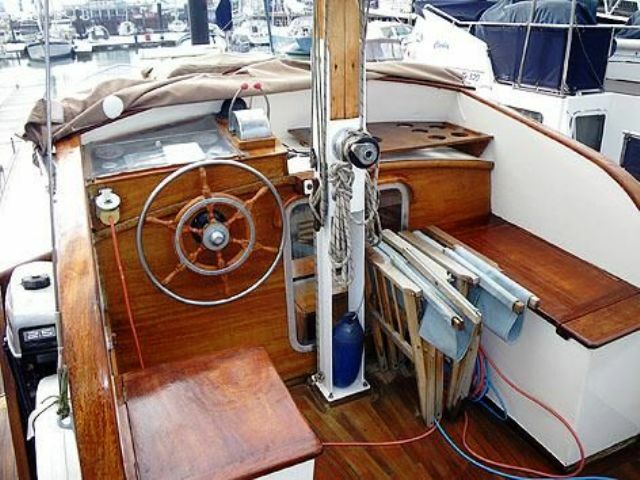 An extremely well maintained, spacious and practical motor-yacht from the halcyon days of English wooden boat building, the last Otter 40 to be built. 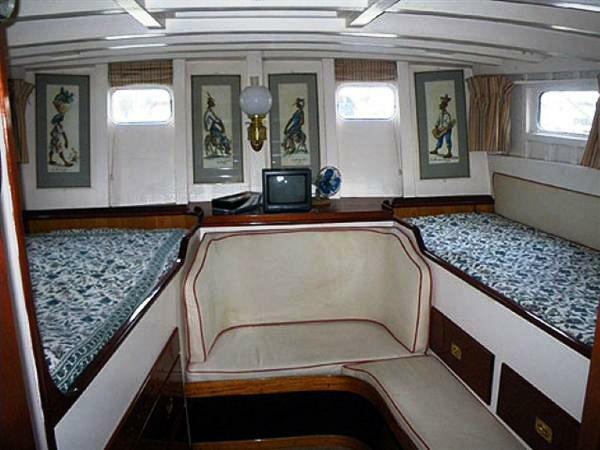 Major refit 1991 – 1997 with good 2010 survey report. Summer 2012 exterior re-varnish. 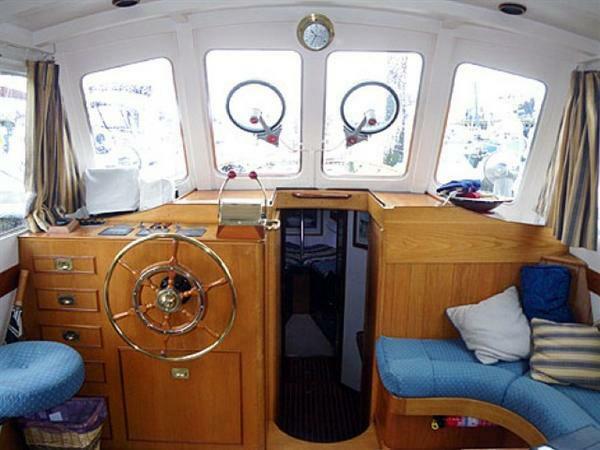 A fine vessel for exploring the estuaries and coast of Britain or the French Canals.